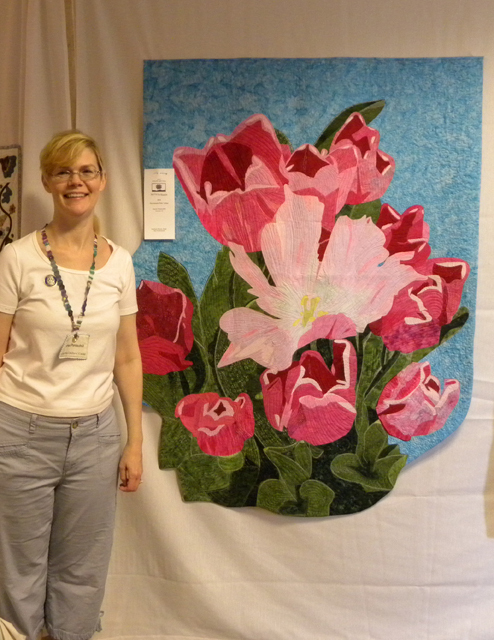 My quilt “passionate pink tulips” has been juried into the AQS Des Moines show in early October. I still can’t believe it. I worked on it for over a year. I originally snapped a photo of these tulips a couple years back around mothers day. All the tulips were still closed except one. The center tulip was the only one open and it begged me to take it’s picture. It was my goal to do extra large flowers on a quilt. Now I have to figure out how to to get to Des Moines to see the show. 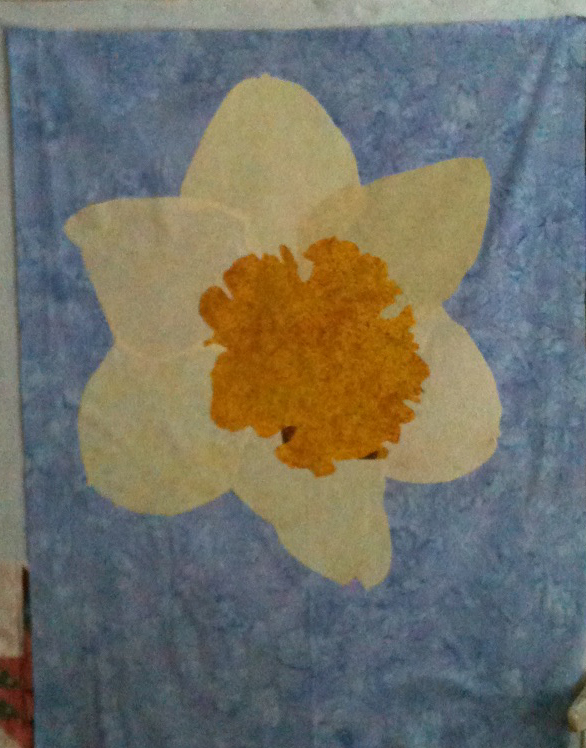 Here is a preview of my next quilt…..sorry about the poor quality image.